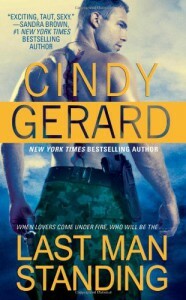 Last Man Standing - Cindy Gerard - review - Lorraine Hates Cliffhanger Endings! Fab ending. Sorry that the series is now complete but glad the next chapter is continuing with 'One eyed Jacks'.